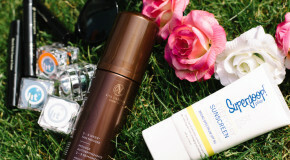 No matter how much we think we know about festival beauty, there’s nothing like seeing the original looks and up-and-coming trends as the new festival season starts. And who best to look to for this? The crowd, of course. 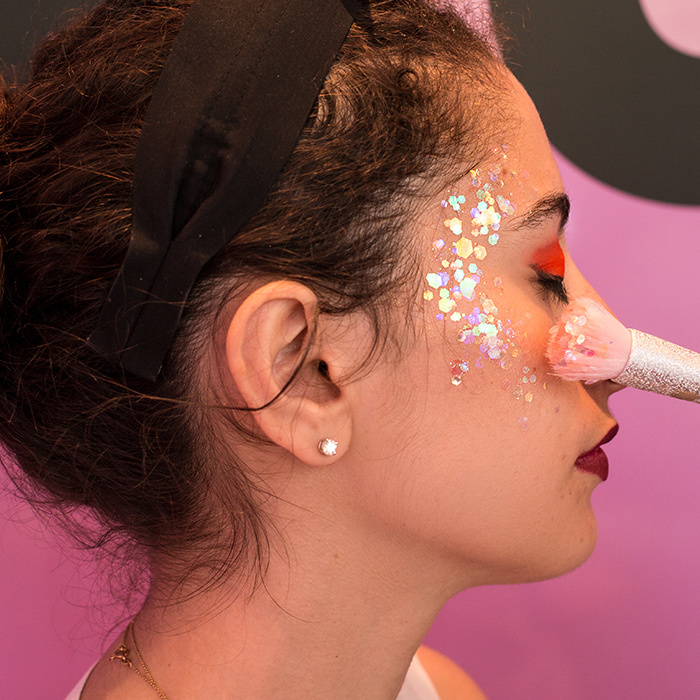 Last week, we treated festival-goers at All Points East festival to makeup touch-ups and glitter looks using our brightest, sparkliest, most festival appropriate products. 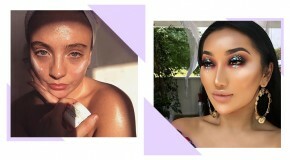 So if you’re heading to a festival this summer, take inspo from these looks, bulk buy the glitter, and hit the road with the #tunes from our All Points East playlist. Happy festival season. 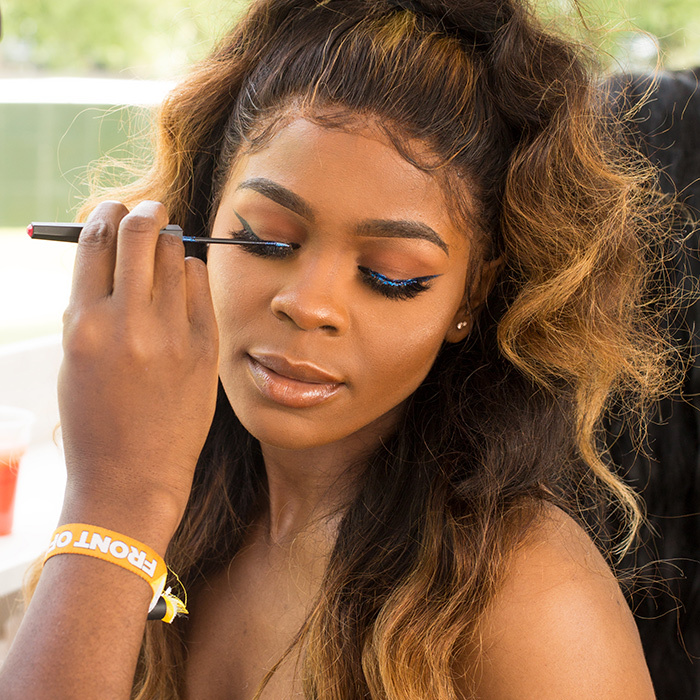 Yella Bambi did festival beauty well by adding a touch of holographic glitter where she’d normally highlight her eye area (brow bones, cheekbones, and inner corner) to open and elongate her eyes. We’re predicting the holo-effect will reign supreme this festival season. Follow the failsafe mermaid theme by defining your cheeks and eyes in the same irridescent shades of blue and green with hints of silver. The resulting finish is insanely eyecatching. Take your smoky eye or cut crease look to the next level like everyone’s favourite beauty Instagrammer, Thuy Le. 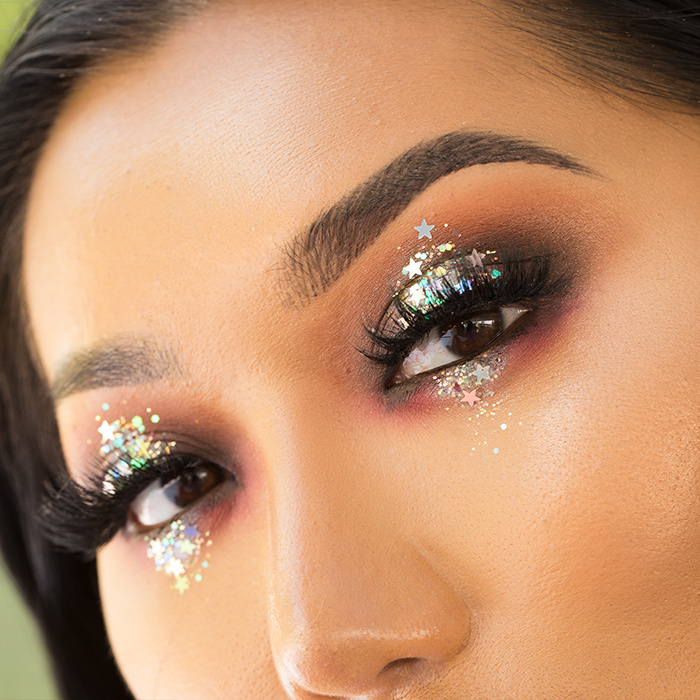 We’re obsessed with the way she adorned her eyelids and lower lashline with stick-on stars and a hint of gold glitter for a subtle festival look that still feels extra. 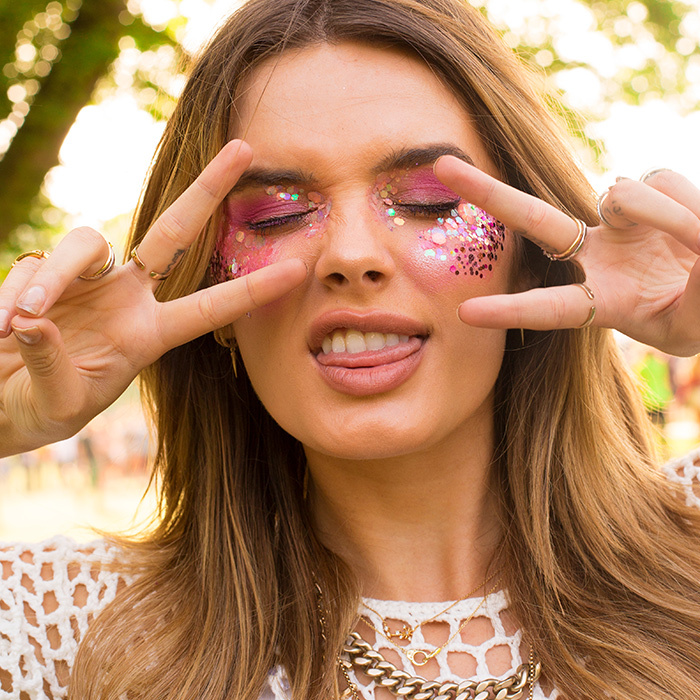 In true festival fashion, model Chloe Lloyd proves there’s no limit to glitter makeup. 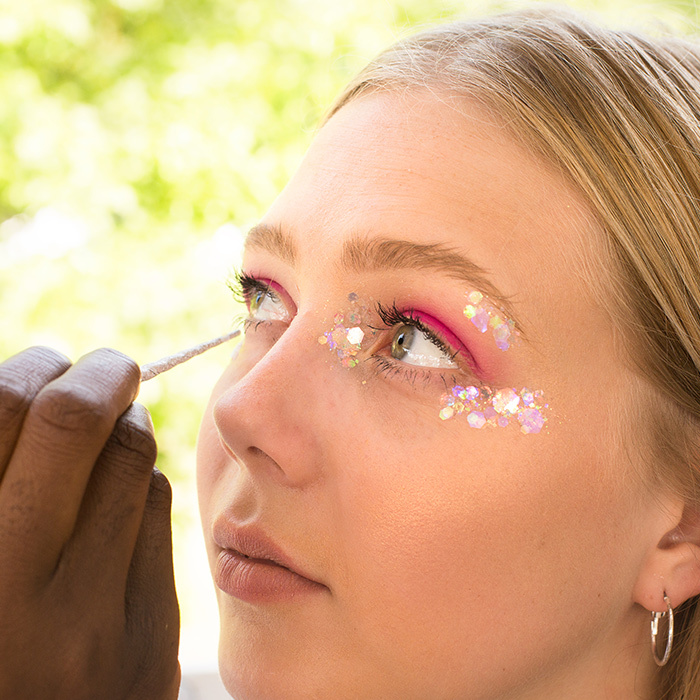 Go for the ‘more is more’ approach and make glitter stand out by layering it over bright colour in abstract shapes that diffuse from cheeks to eyes. The glitter’s gonna get everywhere, so you might as well put it everywhere. Beauty Bay’s Influencer Exec Milly wore a bight wash of pink pigment across her eyelids. While the pink is the MVP of this look, she finished it with dabs of holographic glitter below her brows and on the outer corners of her eyes as a nod to the glitter makeup trend. Even a subtle addition of glitter is high-impact. Presenter Aliyah Maria ditched the basic cat-eye and added a topcoat of bright glitter liner to her black liner base for something more creative and detailed. This look is a definitely a contender for the “most effortless but eyecatching” category. 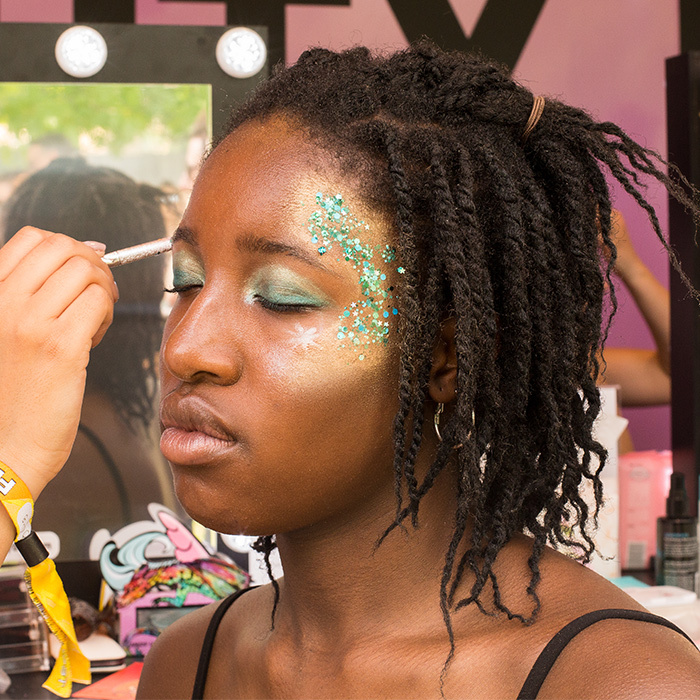 Glitter and metallics were everywhere at All Points East – a festival is the perfect opportunity to wear the products that you can’t wear to work. 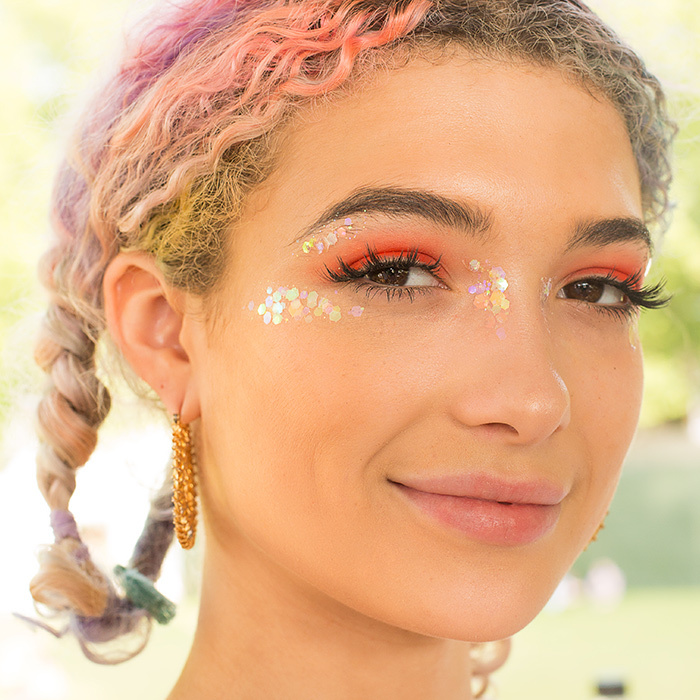 For the easiest take on festival sparkle, replace your regular highlighter powder with loose chunky glitter, draped in a ‘C’-shape from temples to cheekbones.